SERV1 SIAKADU | Prof. Dr. Hj. Siti Maghfirotun Amin, M.Pd. Prof. Dr. Hj. Siti Maghfirotun Amin, M.Pd. Nama : Prof. Dr. Hj. 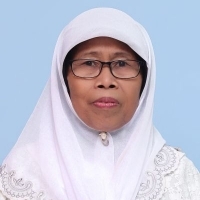 Siti Maghfirotun Amin, M.Pd.